Outside, Artist Bruce Munro will create a large piece of immersive, light art which will take you on a sensory journey through one of the most beautiful parts of the garden, beyond the Aviary. 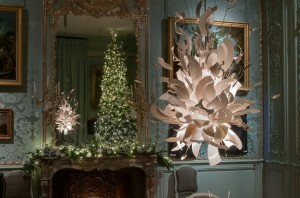 This is the final year of Bruce’s Waddesdon residency, so not to be missed. There will be a light show on the front of the House too: from dusk, every thirty minutes a dramatic son et lumière will bathe the ornate façade inrainbow colours. Two giant sculptures by artist Joana Vasconcelos, in the form of candlesticks made of wine bottles, new this year in front of the House, will also be lit up. 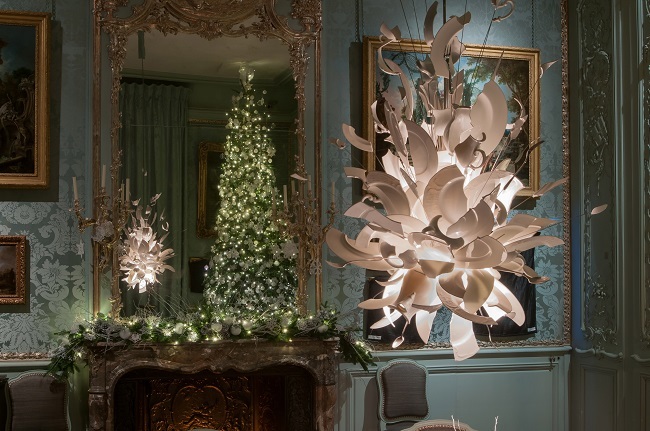 Inside the House, over 20 rooms and interiors will be imaginatively decorated on a ’Lights and Legends’ theme, and for the first time, the Wine Cellars will be decorated throughout the Christmas season. The Christmas Fair, in its location against the enchanting, floodlit backdrop of the House will run for an extra week this year, opening on 18 November and running until 6 December (Wednesdays to Sundays). There will be lots of activities at the Stables too, especially for families, with letter writing to Father Christmas and the opening of our Christmas shop from 11th November and personalized bauble-making from 21st November. 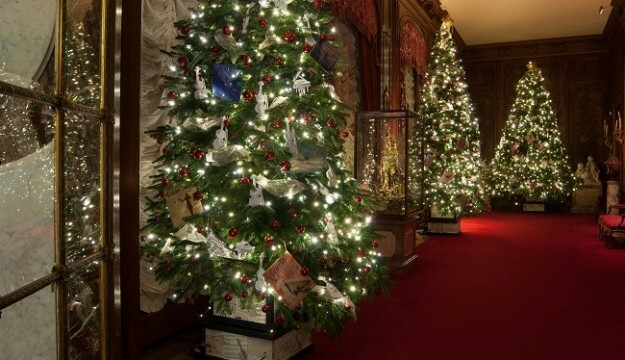 The Waddesdon Christmas season runs from Wednesday 11 November to Sunday 3 January; open Wednesday to Sundays, 10am until 5pm. Closed 24-26 December. Open additionally on 21st, 22nd, 28th and 29th December. Late openings until 7pm, Fridays to Sundays every week from 20 November to 3 January (except 24th- 26 December when we are closed). 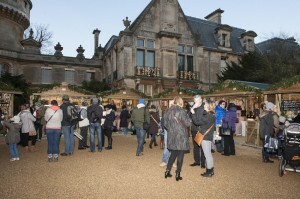 See www.waddesdon.org.uk for more information.